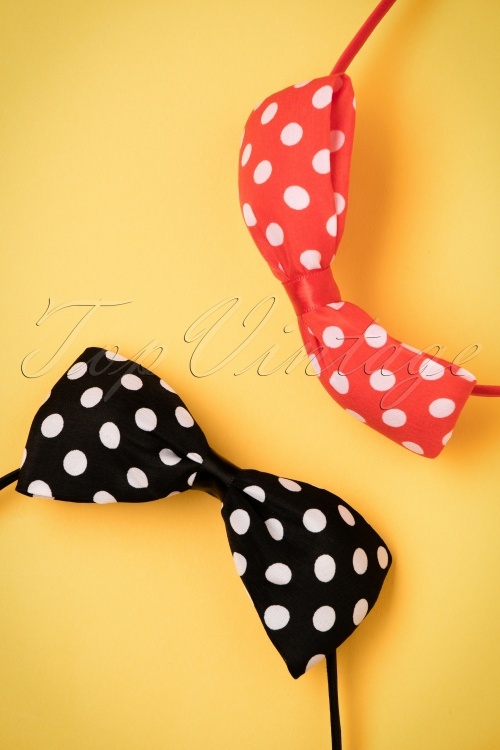 This playful 50s Polkadot Cute Bow Hair Band is THE must-have hair accessory for the upcoming season! 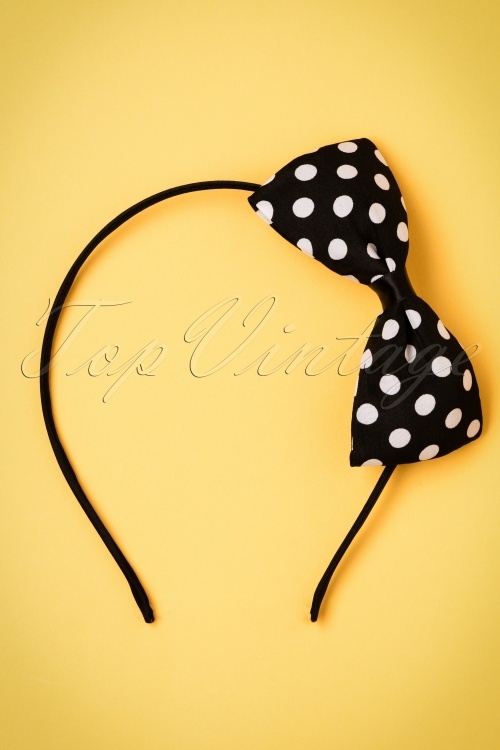 All rockabellas and pin-up girls pay attention... with this cute hair band you will give every hairstyle a vintage twist! 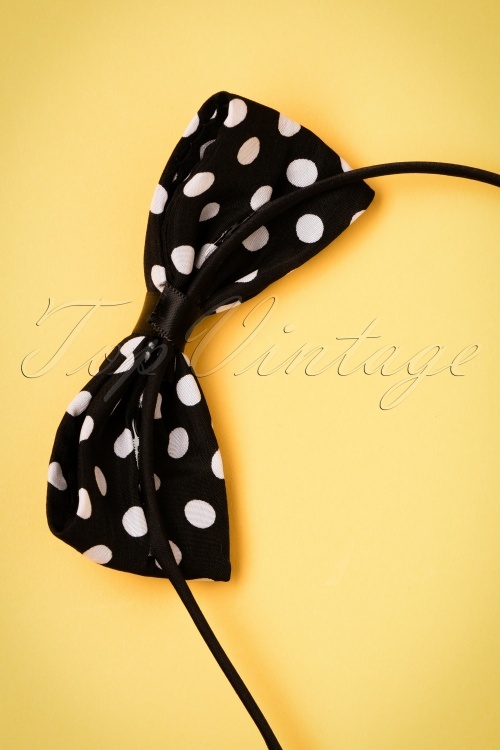 Made from black fabric with a fixed bow, covered in lovely white polkadots. Almost too cute to handle!